We welcome a new artist in our rooster, a great producer, a talented guy based in Athens, Grece called Fog. With few releases on labels like Brise Records, Noir Music, Resopal, Neurotraxx and others, now he join us with a nice colourfull but also powerfull release the "4GetEat EP" including two deep tracks, 4GetEat and Sparrow Say Say wich will perfectly complete some of your dj sets. 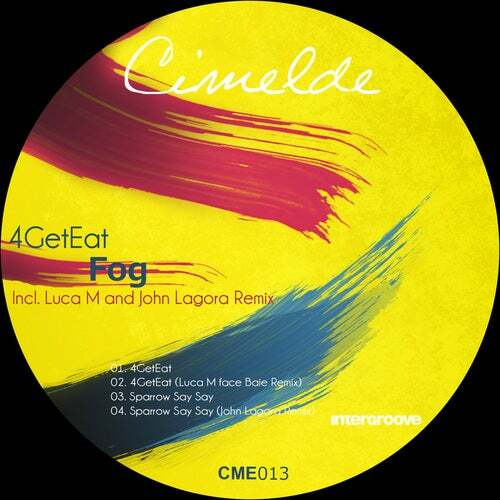 Also the EP includes two remixes from our well know Cimelde producer Luca M with a housey rework for the track 4GetEat and another groovy and really cool remix for Sparrow Say Say from the German producer John Lagora who join us with his first remix on Cimelde.